The Team takes it all in stride. 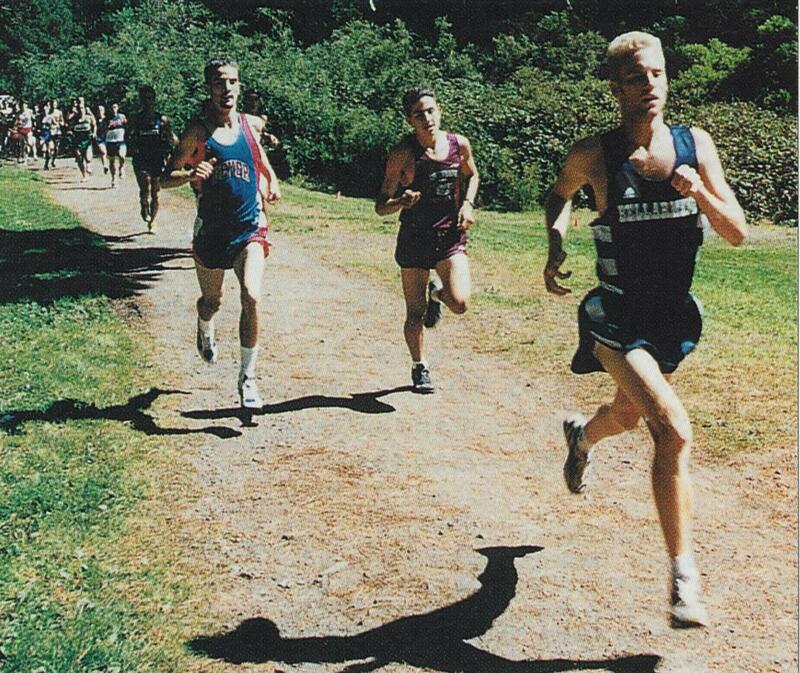 Jeff Arbogast: Interview with Coach Arbogast, Nationally ranked HS XC Team Coach. Orv Hess: Interview with Coach Hess, Nationally ranked HS XC Team Coach. Randi Rossi: Interview with Rossi, D1 Girls State Champ. CCS Finals : With only individuals qualifying, Sirohi finishes in 31st with a 17:01 clocking. Followed by Yu (100/18:41) and William Liow (109/19:00). DAL Finals : Trying for a Top 4 finish, the boys come up short by finishing 6th. The girls duplicate the boys effort. F/S take 4th with JV Girls in 5th. Lynbrook Invit : Running the Top 7 as Varsity, Lynbrook finishes 4th in the girls (led by Shin) and 5th in the boys (led by Sirohi's PR). St Francis Invit : As combined races, the gals would finish 11th (25) and the guys 17th (25). Whitsett is the only to medal today. Crystal Springs : JV Boys win while VB suffer in 20th. JV Girls also take the win. Saratoga Meet : Yu once again leads as the Vikes finish 5th. Kevin Perng takes 11th in JVB while the team finishes 4th. Shin is 11th and the ladies are 6th. Stanford Invit : Led by Sirohi, VB take 26th (27) in this prestigios race. JV Boys fare a bit better, 26th (30) led by Ken Chung Girls take 22nd (22) with Michele Nguyen leading the way. Blossom Valley Invit : Kai Yu takes the lead along with Shin. F/S girls finish 2nd place garnering a Team plaque. F/S boys finish 3rd lead by Whitsett. Lowell Invite: Bellarmine Leads the way. Central Park : Lynbrook guys and gals both take 9th out of this 15 team event. F/S take 5th, JVB 7th and JVG 9th. Individuals are Sirohi, Shin, Deal, Juan Chaves & Ebru Akcasu. Firebird Invit : Varsity Boys take 9th (14) while the Girls finish 6th (9). F/S finishes 7th (12) with Ryan Deal leading. Del Mar Meet : Shin & Sirohi repeat as lead Vikes with Shin getting a 4th place finish. Jeff Whitsett leads F/S with a 9th place finish. Lynbrook Meet : Frances Shin leads the Lady Vikes with a 12th place finish while Aman Sirohi paces the Boys.